Note that the "children" are out of focus, the current theory is that they are not made up of physical matter. Special Containment Procedures: As SCP-1808 is too large to move, it will be left in the ocean where it was originally found. Any humans found in SCP-1808 will be transported to Site-124. Task Force Sigma-1 will stay on the ocean surface directly above SCP-1808. They will be notified if any humans are found contained in SCP-1808. Upon notification, Task Force Sigma-1 will swim down to the entrance of SCP-1808 and move the victim up to the surface of the ocean. Description: SCP-1808 is a large facility lying on the ocean floor in the Pacific, approximately two hundred kilometers from the nearest land mass. SCP-1808 is four stories high, each floor being three meters tall. SCP-1808 contains a maze that some witnesses have described as very large and complex. (Example: In an interview, a victim found in SCP-1808 compared it to the Labyrinth.) The walls of the maze are made up of a mixture of carbon steel and an unknown metallic-like material that renders the walls near-impenetrable. 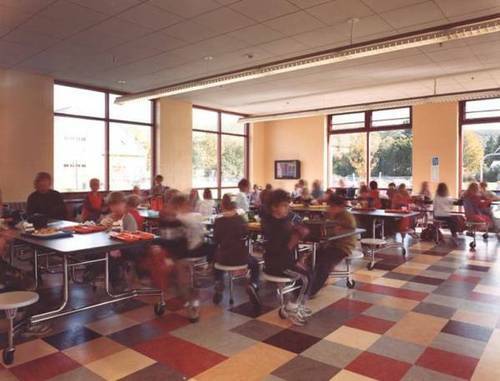 SCP-1808 may enter an active state in which it randomly transports a human subject (from anywhere on Earth) to its center, which appears to be a school cafeteria. In this cafeteria there are human children ranging from ages eight to ten. According to a witness, all of the children lock eyes with the human subject and never look away. The current theory regarding these children is that they do not in fact exist, and that the children are something other than matter. The subject then travels into the maze, looking for a way out. (Hence Task Force Sigma-1 station above SCP-1808). Fargo ███████: I'm not sure what happened in the maze. I remember it was very green, though. Lots of trees. I remember walking through and having no idea where I was going. I saw a door in the distance, so I began to walk towards it, I figured it must've been away out. Suddenly a monkey landed in front of me, blocking my way. It showed off these large fangs. Then a lot more monkeys came out of nowhere, they just popped out from around me. I remember all of them jumping up onto me. I… I remember they began to eat me, I saw one of them… he… he pulled out my intestines. One of them reached towards my face, and suddenly I was lying on a bed in that room you guys put me in. Jack █████: I had no idea what was going on. I could see my wife the entire time, so I tried to follow her. I could only see her from a distance though, I never got close enough to see her face. But I could tell it was her. I followed her until I reached a door, and as I began to open it she came very close. She started laughing hysterically, so I started to laugh too, but you know… in a nervous, way. As she was laughing I saw her transform into a little kid, then back again. It was really strange. I suddenly felt like I was drowning, and next thing I know I was here. Madison ████████: When I began to walk through the maze, I heard something in the walls. I wasn't quite sure what it was, though. Later I heard it again, but I could tell it was waves crashing or something similar. Suddenly the walls began to bend in this really weird way. This red fleshy stuff floated out of the walls and formed a person. It extended its arms and grabbed me and pulled me super close. It lifted its head and opened it's mouth and a bunch of smoke rose up out of it. Then I think I passed out. Not quite sure, I can't remember anything after that.